All right, folks. Let’s talk pumpkin. 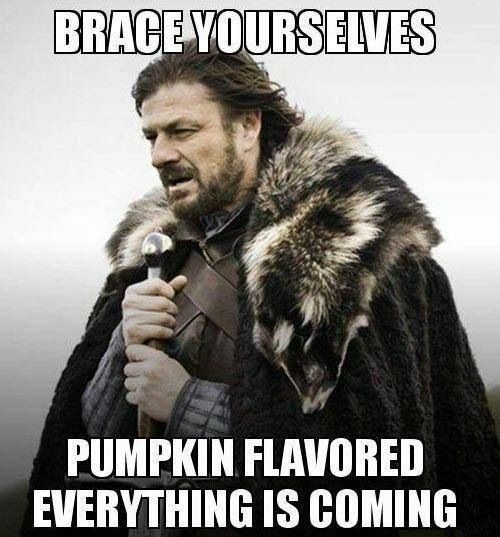 Specifically, pumpkin fudge. I’m pretty sure fudge is on everyone’s list of favorites. Creamy, super sweet, melts in your mouth. . . What’s not to love? We associate fudge with the holidays, like Thanksgiving or Christmas, but what about the fall season? Doesn’t it deserve its own fudge? I was messing around in the kitchen this morning and emerged with this Pumpkin Flavored Fudge. And would you believe it is dairy- and egg-free? Heat on stove on the lowest setting, just enough to warm everything up. Stir constantly so you don’t scorch the coconut butter. . . You’re not cooking it, just warming it up so the flavors will meld and it will spread a little easier. It should only take a minute for this to warm up. It will be quite thick and that’s okay. Pour into a small, flat container of your choice. I like using this to help spread it. Allergen-free pumpkin fudge – a family favorite! You could serve with powdered sugar sprinkled on top or whipped cream…. but I don’t think it’s necessary. P.S. If you’re looking for another wonderful pumpkin recipe, take a look at this Pumpkin Pie Bar recipe, which uses the pumpkin fudge recipe in it. It’s our family’s FAVORITE recipe of all-time. I think you’ll like it. Pumpkin fudge sounds delicious! I’m definitely a pumpkin fan. I recently posted a recipe for Pumpkin Coconut Bites, and I am curious to compare this fudge to those. Julia! Your Coconut Bites look absolutely delicious! Here’s the link for readers: http://swirlsandspice.com/2013/10/11/pumpkin-coconut-bites/ I’d love to hear what you think if you end up trying the fudge. I’m really loving pumpkin-flavored desserts this fall. This looks amazing! I LOVE pumpkin and have been wanting to make a healthier version of pumpkin fudge. I may try it with coconut nectar instead of honey. Can’t wait! Thank you for sharing! Thank you Alexandra!! Coconut nectar sounds reallllly yummy too. Let me know if you try it and what you think! And thanks for the coconut nectar suggestion! Thanks for sharing, I am featuring your recipe this week on AFW! Thanks, Eileen. I had no idea that this fit the Paleo AIP, but I’m happy to find this out. I’ve looked into the AIP briefly myself. I’d love to link up and it’s good to know there’s a roundtable of recipes for this protocol in case we attempt it in the future. Thank you!! Don’t have any coconut butter on hand… could you use regular butter? You could try it; however, the two are not very similar so I’m not sure it would work. You could try a nut butter in its place? I guess as long as the butter is kept cold it might work… If you try, let me know! what size small, flat container do you recommend? it doesn’t seem enough ingredients to make a whole 8″ square pan, or am i missing something? Sheila, great question! I have some pyrex dishes that are small and rectangular (about 5″x8″) that I use. You could also use a flat round dish. I think to make it work with an 8″ pan, you could double the recipe. Hope that helps you! Can you freeze these? Or do they last a while in the fridge? Hi Susan! Try sticking it in the freezer and see what happens. Coconut butter is pretty much my favorite thing ever- this looks great! We were just in Vermont and I tried pumpkin fudge for the first time. Delish! Oooh, I bet it was. Yum! All things PUMPKIN will be sticking around here until after Thanksgiving! This is definitely going on the “MUST TRY” list! YUM! Oh sweet mercy, I think this will be my new favorite fall treat! I do need to watch my sugar intake so I’ll have to experiment with stevia. I just love all the pumpkin things, thank you! Yay, I love experimenting with desserts! Happy fall!